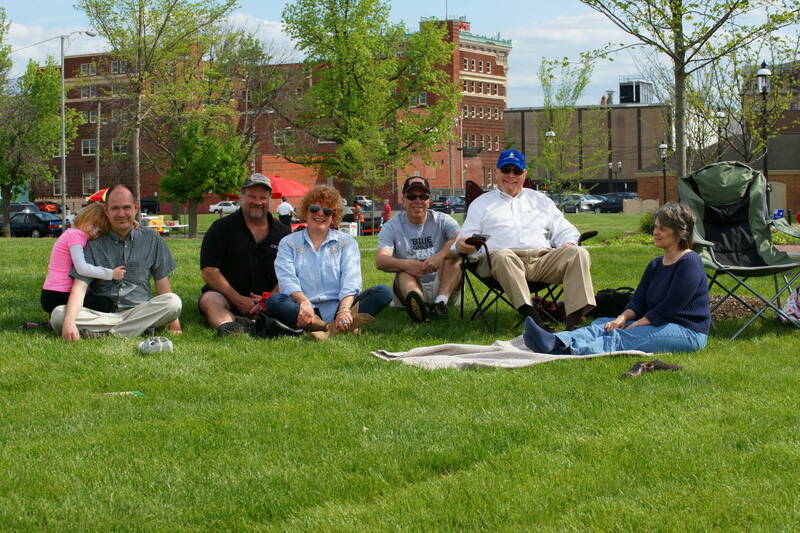 5/4/2013: Community Festival, RiversEdge Park & Amphitheater: (l-r) Charlotte Smith; Matthew Smith (Colligan Project); Steve Haid; Ladonna Hoskins (Colligan Project); Howard Epstein; Curt Ellison (Colligan Project); Celia Ellison. Looking to the future, the Colligan Project and its community partners hope to build on the outstanding public participation, and invite your comments and suggestion on legacy projects to permanently commemorate the Flood Centennial. Please send your ideas by email, or feel free to post them on this website or on our Facebook page. Coming soon: more on the Colligan Project’s Fall 2013 schedule of events. Comments or suggestions? Please contact Curt Ellison at: ellisocw@miamioh.edu; tel. 513 785 3230, or Matthew Smith at: smithmd6@miamioh.edu; tel. 513 785 3175.